How Much is your home worth in Kingston, New York? If you are planning on selling your home, that is a question you need answered. As your Local Kingston Real Estate Expert, I can help you to learn the answer to that question. I will personally do the research on your behalf and provide you with a detailed Free Market Analysis. Please feel free to take a few moments to complete the basic information below and I will go straight to work for you. Or, if you prefer, please feel free to give me a call directly at 845-336-2633. © 2019 Columbia Greene Northern Dutchess MLS All rights reserved. Information deemed to be reliable but not guaranteed. The data relating to real estate for sale on this website comes in part from the Broker Reciprocity Program. Real estate listings held by brokerage firms other than Weichert Realtors- The Spiesman Group are marked with the BR logo and detailed information about them includes the name of the listing brokers. Listing broker has attempted to offer accurate data, but buyers are advised to confirm all items. Information last updated on 2019-04-19. © Mid-Hudson Multiple Listing Service, Inc., 2019. Information deemed to be reliable but not guaranteed. The data relating to real estate for sale on this website comes in part from the Broker Reciprocitysm Program. 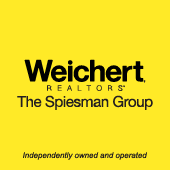 Real estate listings held by brokerage firms other than Weichert Realtors- The Spiesman Group are marked with the BR logo and detailed information about them includes the name of the listing brokers. Listing broker has attempted to offer accurate data, but buyers are advised to confirm all items. Information last updated on 2019-04-19.